Sand fleas have a remarkable ability to change colour in order to match dramatically different backgrounds, as revealed in our paper just out in Biology Letters. We found that sand fleas from the remote British Overseas Territory of Ascension Island change their colour to match the beaches they wash up on, which vary widely in colour and brightness from black to light yellow. Sand fleas on the sand from their respective beaches around Ascension island. Sand fleas occupy the swash zone of sandy beaches where they are exposed to a range of visually-guided predators, including shorebirds and crabs. To simulate this situation the study, published in the Royal Society journal Biology Letters, used cutting edge camera technology to view the camouflaged sand fleas through the eyes of predatory birds. Unlike many populations of animals that undergo genetic changes over many generations and improve camouflage against the environment, sand fleas from the different beaches begin life as a planktonic larval stage and all likely come from the same gene pool. They then wash up on any beach, and so genetic adaptation to any specific beach colour is very unlikely. Instead they must change colour to match their own beach and they apparently do this as they moult, growing closer to the beach colour as they develop into adults. 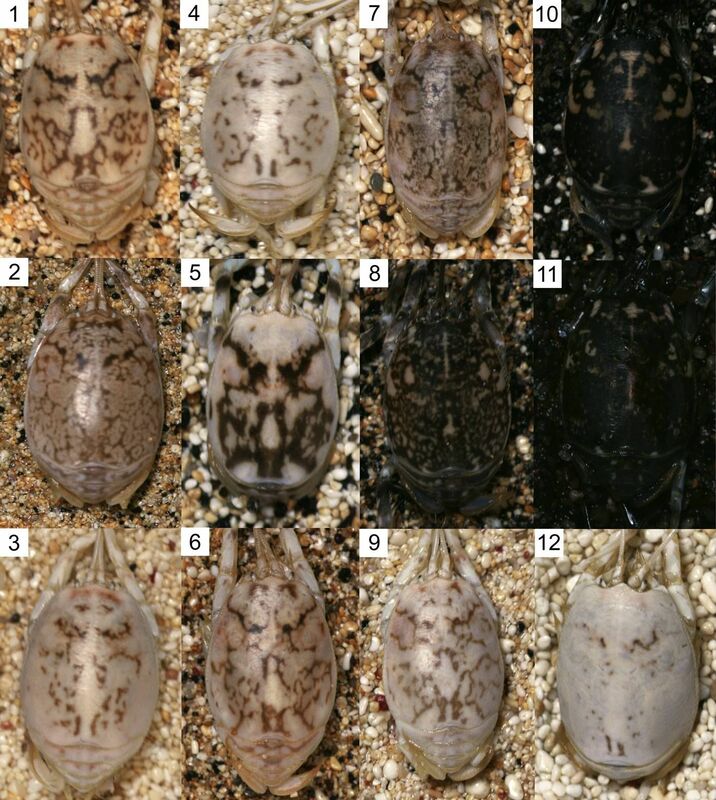 The sand fleas, also known as mole crabs, were photographed in the lab along with sand from their respective beaches. The images were transformed to correspond to an avian visual system using specially designed software by the team to determine how camouflaged the fleas would appear to a predatory bird. The results showed that the sand fleas matched the colour and brightness of the beaches they lived on, affording them camouflage against predators. Future work will focus on the underlying mechanisms involved in developmental changes in colouration, including the role of visual feedback and cellular processes. The research received funding from the Biotechnology and Biological Sciences Research Council (BBSRC), the Darwin Initiative and Ascension Island Government. is it safe to eat ?